Pictures of The Overlook including the kitchen, great room, hot tub, deck, and bedrooms. The Overlook keeps a low profile to blend in with the mountain. 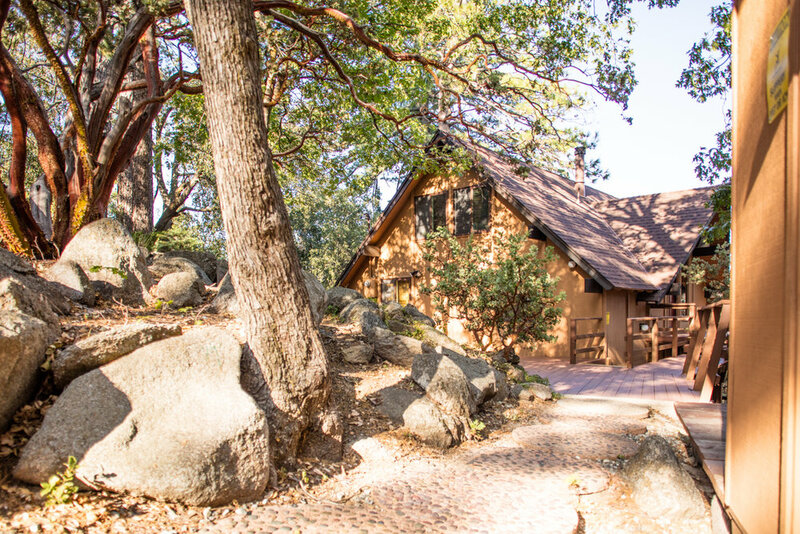 Large oak and pine trees surround the property, creating a peaceful setting. Coming into The Overlook sometimes feels like a treehouse. 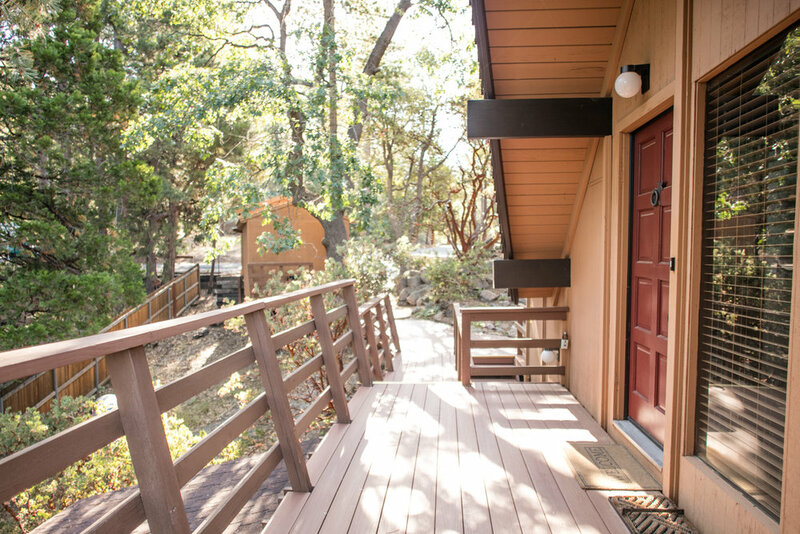 Relax on the deck under the shade of oak and pine trees. 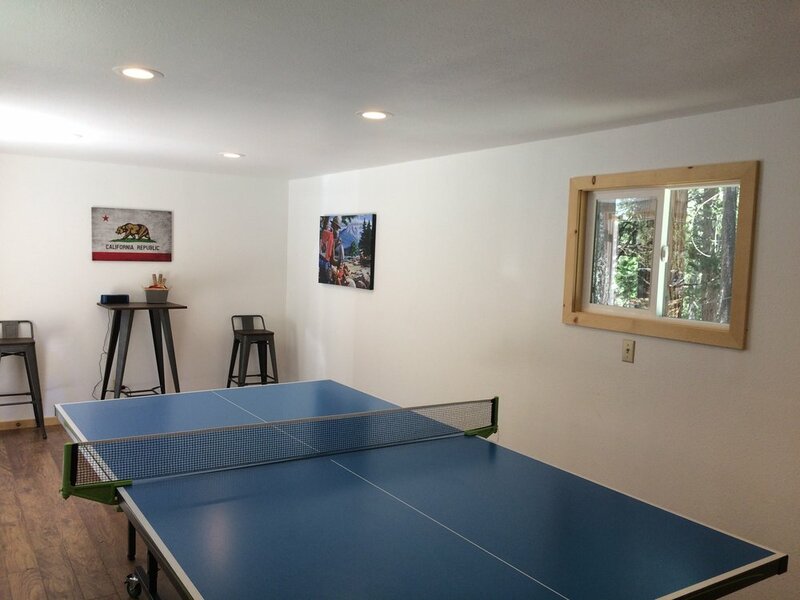 Have an epic ping pong match in the game room. The secluded hot tub sits on its own deck just outside the master bedroom. 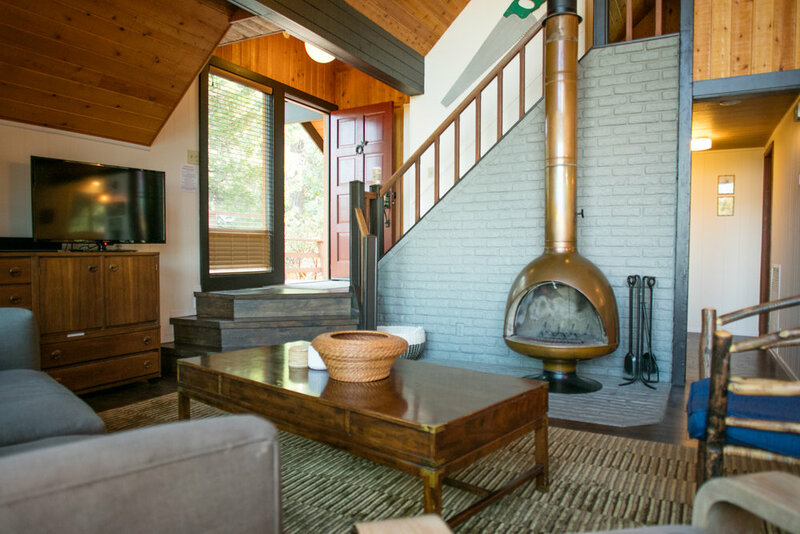 A charming fireplace, large windows, and open floor plan make this a place to relax. Another angle in the great room, facing the kitchen. The fireplace will help keep you warm on cold winter nights. The clean, well-stocked kitchen is ready for you to prepare a family feast or cook up a quick meal. Those large windows face the sunset. One of four bedrooms. This one has a queen bed. The second of two bedrooms. This one has a queen bed. Spacious master bedroom that has its own bathroom. This bedroom sits in a loft upstairs. It has a king bed and its own bathroom too. 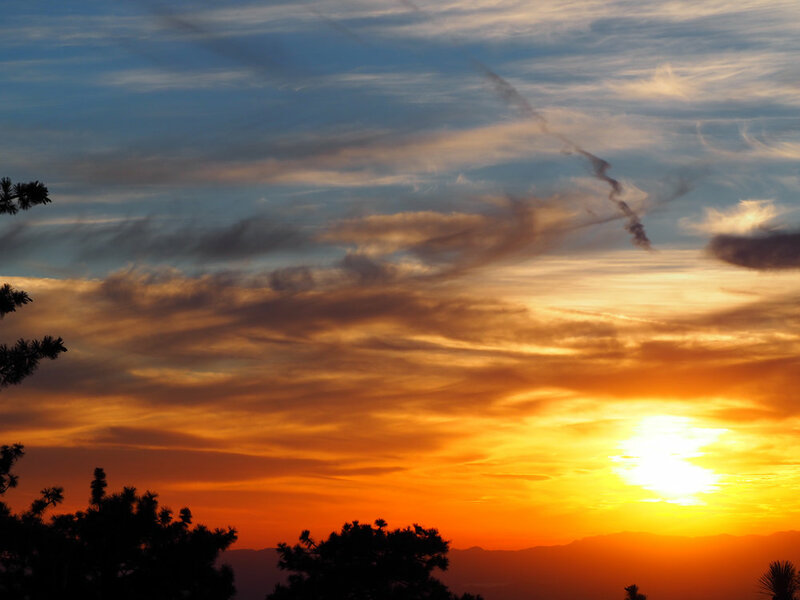 There are plenty of hiking trails nearby, such as the popular Ernie Maxwell Trail. 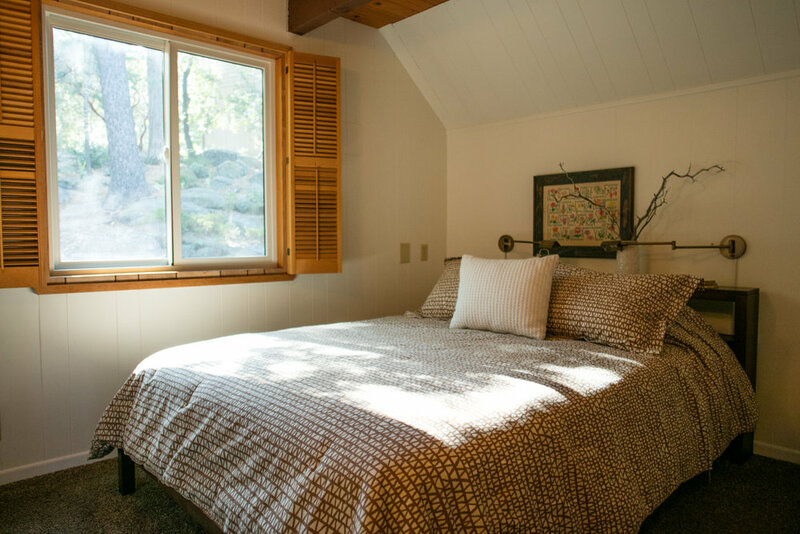 All photos except "Sunset" and "Game Room" courtesy of Jonie Photo, professional photography in Idyllwild.